I read this article and found it very interesting, thought it might be something for you. The article is called Best Horror Movies of 2018and is located athttp://innov8tiv.com/best-horror-movies-of-2018/. If you want some over-the-top horror to divert you from fear of life, we have gathered a list of horror movies. From indie thrillers to horror sequels, 2018 has a lot of terrors in store for horror movie fans. For your pleasure viewing, below are the best horror movies of 2018. Released on February 2, 2018, starring Helen Mirren, Jason Clarke and Sarah Snook, Winchester is one of the most famous horror movies that are based on true stories. The role of Sarah Winchester is played by Helen Mirren. This best horror movie of 2018 is based on a true story of Winchester Mystery House at San Jose, California. A huge creepy mansion is terrified by ghosts of people who were killed by Winchester rifles. The movie is based on a group of scientists who have to reconnoiter a strange disaster area where another group of scientists vanish except for one scientist who returns back horrifyingly wounded. The movie released on February 23, 2018, starring Natalie Portman, Jennifer Jason Leigh, Gina Rodriguez and Oscar Isaac. This one of the best horror movie of 2018 released on March 8, 2018 which is the sequel of 2008’s The Strangers. 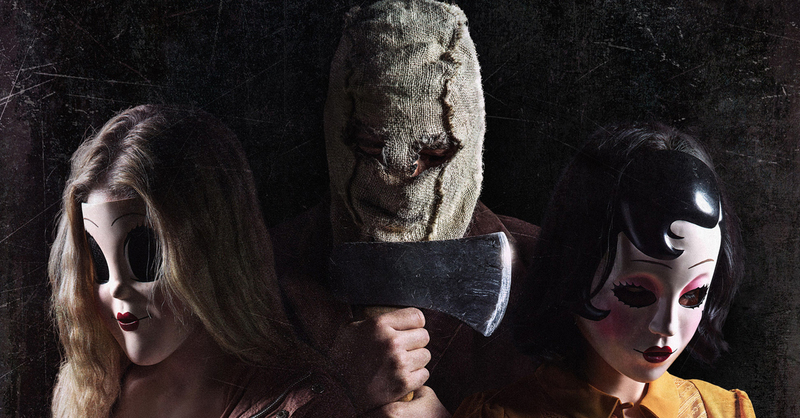 The same terrifying group of 3 masked killers from the first movie scares a new family in the woods for no reason. The movie features Christina Hendricks, Martin Henderson, Bailee Madison and Lewis Pullman. Steven Soderbergh entirely shot this best horror movie of 2018 on an iPhone camera starring Claire Foy, Joshua Leonard, Jay Pharoh, Juno Temple and Amy Irving. It was released on March 23, 2018. The movie revolves around a young woman who tackles her fright after being committed into a mental institution. Unsane is an insane movie for 2018. This horror movie is based on a family hiding from a supernatural evil with hyper hearing ability that will kill them if it hears them. Thus, to survive they learned to live life quietly. The movie will release on April 6, 2018. A Quiet Place is directed by John Krasinksi and it stars Krasinki too along with Emily Blunt. At first glance, the movie focuses on famous childhood game truth or dare but in Jeff Wodlow’s horror film Truth or Dare, every time you refuse to dare or you lie, you die. Releasing on April 13t, 2018, the movie stars Lucy Hale, Tyler Posey, Violett Beane, Nolan Gerard Funk along with many others. It best horror movie of 2018 is like The Ring meets Final Destination meets the worst slumber party ever. For past few years, Conjuring series has turned into the most unpredictable entertaining cinematic universe. Now, Corin Hardy’s The Nun centers on a demon that has taken the form of a nun. It will take us back to the Conjuring timeline to 1952 Romania as a priest, a young nun and a novitiate try to resolve the enigmatic death of a nun at a convent. There is no doubt that this frightening nun will deliver magnificent thrills. The movie features Bonnie Aarons, Taissa Farmiga, Charlotte Hope and many more. It movie will release on July 13, 2018.